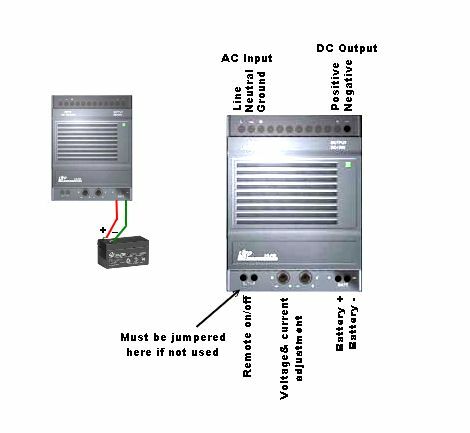 The PST-SP series of battery back up power supplies consist of a universal input (85 to 260 volts AC, 47 to 63 Hz, or 120 to 340VDC) 12 volt (or 24 volt) power supply with a built-in DC Battery Backup charger and switch. They can charge any 12 volt (or 24 volt) SLA, gel cell, VRLA, or AGM lead acid battery and instantly switch over to battery power upon power failure with zero crossover time. 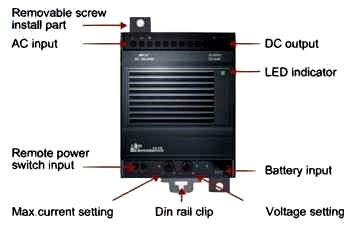 These power supplies can be used with or without the battery as convenient DIN rail mount power supplies. They are designed for infrequent battery use. The charger current is small, so it charges the battery slowly and may not be applicable to systems having frequent, regular power outages. 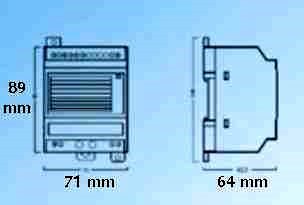 The battery voltage is not regulated, and the output during AC operation is the same as the battery charge voltage so the 12 volt system will vary from about 13.6 to 10 volts during operation. The 24 volt system will vary between 27.2 to 20 volts during battery operation. 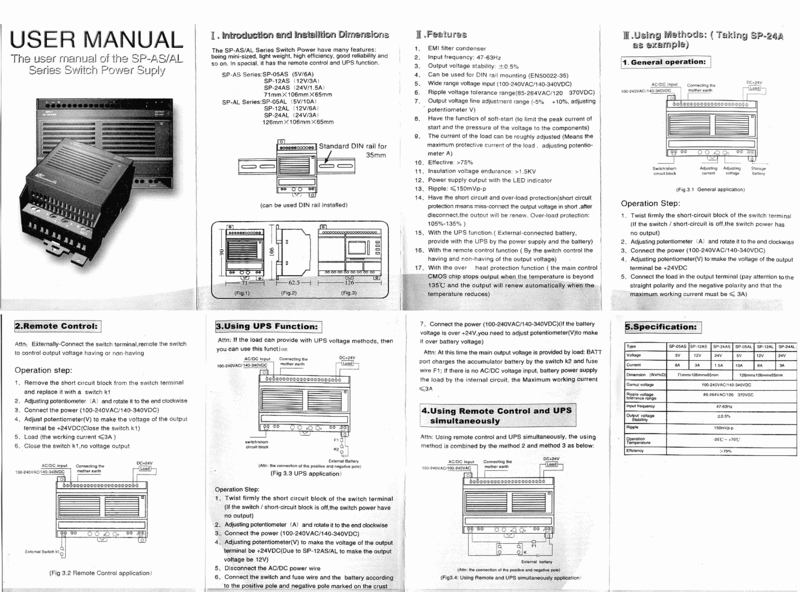 If battery back-up is not required there is pot for adjusting the power which is accessible from the outside. There is also a remote turn-on option to allow low voltage switching of the AC power, but not the battery power. 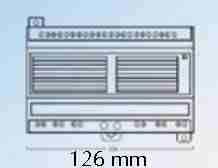 These units can also be used as high voltage input DC/DC converters with battery backup. The input voltage can be DC instead of AC if the supply voltage is between 140 to 340 VDC. 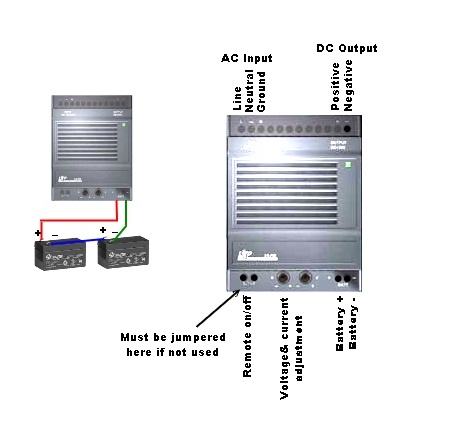 Overcurrent protection The power supply will continue to supply power up to 140% of rated current and then will go into "hiccough" mode, turning on briefly to check if the current is too high, then turn off again. During the "off" phase of the hiccough battery power is present. 2 volt battery back up DC UPS, 24 volt battery back up DC UPS. Battery back up, Battery backup switchmode AC/DC power supply with universal input.